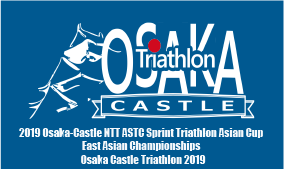 The Osaka Castle Triathlon course is one of the most unique and　challenging courses in the world. Our swim takes place in the calm waters of the castle moat, surrounded by historic stone walls below the castle. The swim start, transition area and finish line are in close proximity, and all three legs have multiple laps, so family and friends can see more of you during the race. The entire swim course is next to the spectators’ area, ideal for cheering during your swimming leg. 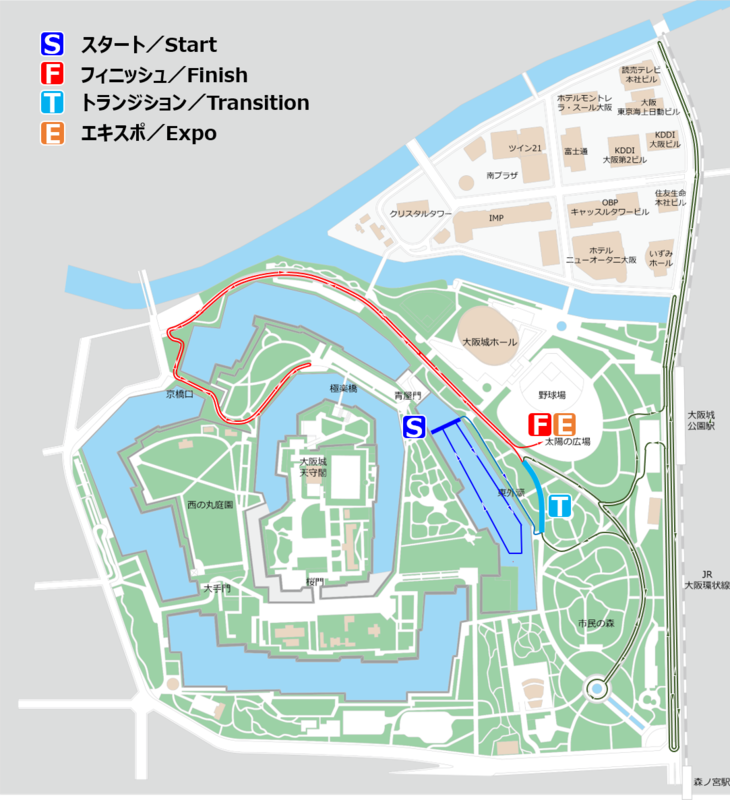 The bike route is flat and technical, winding through the castle park and the modern district of Osaka Business Park. The run route takes place in the beautiful castle park forest with fresh greenery all around, and will lead you to a close-up look at the main castle building. Our finish line is adjacent to the transition area and the event exposition (festival) area where you can find many booths and famous Osaka foods, such as takoyaki. There are also complimentary foods and post-race athlete services for participants. * The courses and services offered and may be subject to change without notice.